Ara C. Trembly, M.S., M.A., ACHt, LPC. His background includes graduate study in psychology at New York University and Rutgers. He holds a Master's Degree in Counseling from Philadelphia Biblical University and a Master's Degree in Communication from ﻿Fairleigh Dickinson University. Mr. Trembly is a Licensed Professional Counselor in the State of New Jersey, and is a Board-Certified Hypnotist (International Hypnosis Federation). He is also a Christian counselor (member, American Association of Christian Counselors), writer, consultant and highly experienced public speaker. Mr. Trembly is an adjunct faculty member of Philadelphia Biblical University's (PBU) Institute of Higher Learning, and is a member of the ﻿New Jersey Counseling Association﻿. Memory is a vital element to all sorts of learning in life, yet it can be elusive at just the wrong times, such as when we are taking a final examination or we need to recall the combination to a safe. In this modern age, there are all sorts of solutions to memory problems, from smartphone apps and other clever devices to supplements made from jellyfish that are alleged to increase one’s powers of recall. But what happens when we witness something–a critical incident for example–and our memory stubbornly refuses to cooperate, due to stress or nervousness or some other psychological manifestation? In those cases, many turn to hypnosis as a means of clearing the mind and thus aiding in recall. The problem, however, is that no matter how clearly one recalls something, it is not the same as a mental video recording. It was once assumed that any information taken in by the brain (especially the unconscious mind) was stored like an exact video reproduction, ready to be recalled when needed. Research in memory, however, has revealed something completely different. 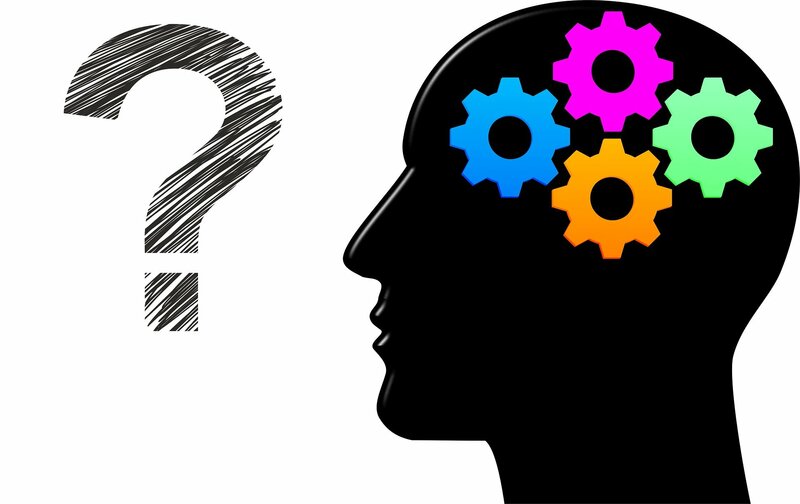 Certainly, the brain records most of what it experiences–either consciously or subconsciously–but that information is filtered through the individual’s own assumptions, knowledge, sensory limitations, emotions, and prejudices. The resulting report of the person doing the remembering may actually be quite different than what was happening. For example, suppose you and your five-year-old child take your family dog to the veterinarian for its shots. You watch calmly as the vet struggles a little to get your characteristically rambunctious pet under control, perhaps with a bit of a grimace on his face. “There, I’ve got you,” says the frustrated vet, whereupon he proceeds to administer the shot. Everything goes as expected, and you would report that you had seen the vet give the dog a shot, perhaps laughing at the rambunctiousness. Your five-year-old, knowing nothing about veterinarians and shots, sees something completely different. He sees a strange man in a white coat grabbing his beloved pet and struggling with it. He sees what could be an angry look on the vet’s face. “There, I’ve got you,” snarls the mean man. Then he sees this man sticking the poor dog with a long needle that he thinks must be causing a lot of pain. Your five-year-old might tearfully report that he had seen a ,man grab and wrestle with the family pet, then assault the helpless animal with a needle. You and your five-year-old witnessed the exact same incident, but your reports are significantly different. Even under hypnosis, neither of you would be likely to change your report significantly. This is certainly true, but the reason for inaccurate recollections lies not in the fact that the witness was or was not hypnotized. It is likely that any factual inaccuracies are simply the product of the way the mind works to remember things, putting its own “spin” on the story, so to speak. This should serve as a reminder to all of us that memories are rarely 100 percent factual, if “factual” is defined as the equivalent of a video and audio recording of an incident. A person’s whose memory of an incident is “sharpened” via hypnosis may experience recalled images more vividly (including heightened emotions) and may recall other things such as sounds and even smells, but this does not mean that the memories are more factual as we have defined that term above. As habitual readers of this blog (obviously very discerning individuals) know all too well, I have been writing for years about the myths and misconceptions that surround the practice of hypnotherapy and hypnosis in general. Many of these half-truths, lies, and nuggets of fake news emanate (not surprisingly) from mainstream media and from entertainment media in particular. But what about some other questionable things that seem to have some basis in reality? I refer to hypnosis ostensibly being employed in order to get people–usually audience members at a hypnosis show–to do strange and embarrassing things. There is no question that such shows, both live and recorded, do exist, and that it certainly looks like we hypnotists have the ability to make the general public look like childish fools if we apply our mysterious powers to them. A number of examples exist online, and I invite you to search for them. In one particular video, the voice over claims that the subjects (all young women, for reasons on which I will not speculate) have all been hypnotized to start acting like chickens when they are prompted by the alleged hypnotist. 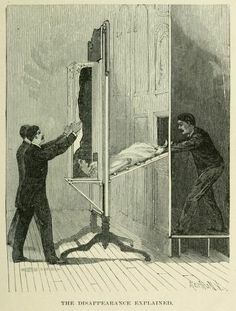 How this was accomplished is not shown, which leaves one wondering if any real hypnosis was involved, or if the video was just produced for entertainment purposes. In another video, the hypnotist explains his suggestions, then shows the alleged effects in a stage show that features mostly women (do I sense a trend here?). One woman in particular is quite an enthusiastic clucker, much to the delight of the audience and the other supposedly hypnotized individuals. So let us at least admit that in some cases something like hypnosis occurs and individuals find themselves doing strange and embarrassing things. Interestingly, none of these individuals behave as if they were embarrassed at exhibiting such behavior, at least in the clips I was able to find–and in my experience having attended such shows. There is one logical reason for this: These people are not embarrassed! These folks are enjoying being part of the entertainment, and they are completely comfortable acting silly for the enjoyment of others. Further, there is no evidence whatsoever that any hypnotist is “making” these women do embarrassing things. There is also a good reason for that phenomenon: We hypnotists can’t make people do things they wouldn’t ordinarily choose to do! I first heard of Battle for the Mind: A Physiology of Conversion and Brain-Washing in a sermon that was addressing the godly and ungodly choices one can make in life, as well as the things that influence us. The preacher let us know that this controversial work had made quite a stir since its first appearance in 1957, but that it since had been “discredited.” Far from discouraging me to forget the title, this only made me more determined to find out what this book was all about and why people were upset to the point that they wanted to discredit it. One clue was the subhead on the cover, which reads “How Evangelists, Psychiatrists, Politicians, and Medicine Men can change your beliefs and behavior.” The idea that evangelists and psychiatrists–people with respectable and sometimes laudable credentials–should be lumped in with politicians and medicine men–whose credibility and intentions may be seriously in doubt–certainly could ruffle some feathers. And it just didn’t make any sense on the face of it. 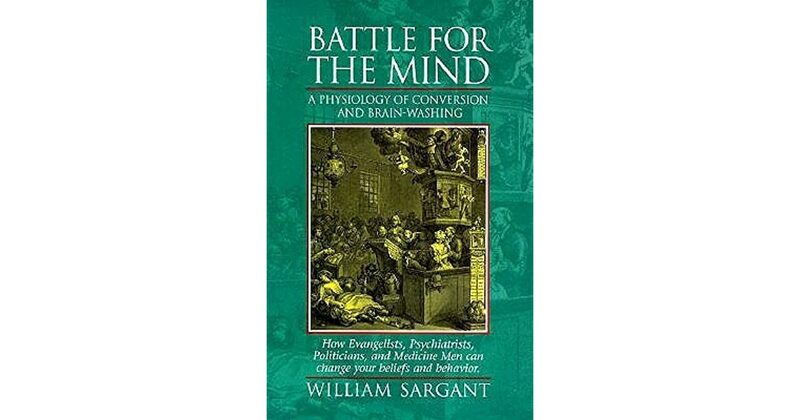 The author, William Sargant, himself a highly controversial figure, is described by one web site as being “perhaps the foremost face of British mind control experimentation.” His basic premise in the work under discussion is that brain-washing–in this case, the radical shift from even core beliefs to different beliefs suggested by someone else–is accomplished by bringing the subject to a state of complete nervous, and often physical, exhaustion–or what today we would refer to as “trauma.” Modern referents would be terms like battle fatigue, shell-shock, or PTSD, but Sargant makes clear that such breakdowns may also occur due to administration of drugs, electro-convulsive therapy, fear of punishment (proximate, as in torture, or future, as in the prospect of eternity in Hell for sinners), and even continued exposure to rhythmic sounds such as are present in voodoo ceremonies or while dancing to rock and roll. Sargant’s explanation of this begins with records of experiments on dogs by Ivan Pavlov, the Russian physiologist famous for his work on classical conditioning with salivating dogs. When Pavlov’s dogs were accidentally traumatized by nearly being drowned in his flooded laboratory, he noticed significant changes in their behavior. They seemed to have forgotten their recent conditioning and were even observed to have reversed their training in some cases. They also seemed to show a dislike for human keepers whom they had previously liked. In short, they lost their previous thought patterns. Sargant then goes on to postulate that this inducement of trauma, whether deliberate or accidental, is the key method used by the various groups mentioned to influence behavior and change thought patterns. The weakness in his argument lies in the fact that he applies it too far afield, perhaps revealing his own personal prejudices rather than proven facts. His examples run the gamut, and in many cases the connection is obvious–as in the tortures used to elicit confessions during the Spanish Inquisition and in the jails and police stations of Communist states who were hell-bent on wiping out all ideological opposition. In some cases cited, individuals were subjected to so much pain, monotony, and physical deprivation that they would have confessed to anything. Ironically, however, Sargant points out that it was not uncommon for these individuals to later insist on their guilt as wrongdoers (despite there being no evidence) and on their allegiance to the new state, the new religious teachings, or the new way of thought. They had truly been brainwashed. But is this what happens in a psychiatrist’s or psychologist’s office? Certainly, an effort is made to convince patients that certain behaviors are constructive and others destructive, yet we see none of the continued deprivation, torture, and threats to life and family experienced in the cases mentioned above. Even a more extreme measure like ECT, which has been shown to be highly effective in reversing some symptoms of certain mental illnesses, is generally aimed at resetting the brain function to a calmer level and not at implanting new thoughts. Then there are the evangelists. There are definitely “hell and brimstone” preachers who will bring up the threat of eternal punishment for unrepentant sinners, but elevating the fear of eternal punishment to the level of the fear of losing one’s present life is, for most of us, a non-sequitur. To be sure, the idea of being thrown into a lake of fire for eternity is a powerful argument for faith, but for non-believers, Hell is not an issue. My readers may wonder how the practice of hypnosis–erroneously thought by some to be a form of brain-washing–fits into this picture. The answer, according to Sargant, is that it doesn’t. He does cite instances in World War I in which hypnosis was used to help battle-scarred individuals to mentally (and safely) relive their traumas in order to deal with them in therapy. This is hardly the same, however, as deliberately invoking a disabling mental crisis. On the other hand, it is not difficult to imagine that the relentless drumming and exhausting dancing for hours that is part of some voodoo rites does indeed leave the individual in a dog-tired stupor–a state in which minds may indeed be influenced and declarations of voodoo practitioners believed. Whether or not the same effect is produced by dancing to rock and roll seems questionable at best. All this being said, there is definitely value to realizing that thoughts and even core beliefs may be changed by traumatic experiences or treatments. It is important to note that Sargant is not advocating such experiences; he is merely explaining what he believes to be the mechanism and method for changing thoughts and, perhaps, behaviors. This is a fascinating book, but the reader should be aware that descriptions of some methods of brain-washing are disturbing to read. Whether you credit or discredit all or parts of this book, it certainly offers some interesting explanations for changes that we sometimes find inexplicable. If you read, or have read, this book. Feel free to share your own thoughts and opinions here. The practice of hypnosis has been linked with many other practices and ideas–some clinical and health-oriented, and some “alternative” and often controversial. One example of the latter is the phenomenon known as telepathy. Telepathy, in simple terms, is, according to Merriam-Webster, “communication from one mind to another by extrasensory means.” In this context, “extrasensory” refers to something that is beyond the capability of our five senses of sight, hearing, touch, taste, and smell. Some would refer to perception of an event without the involvement of the senses as mind-reading, but this is a less-than-complete definition, in that much of what we refer to as telepathy occurs spontaneously–that is, the person is not consciously trying to send or receive a message from another mind, whether that mind is close by or far flung. 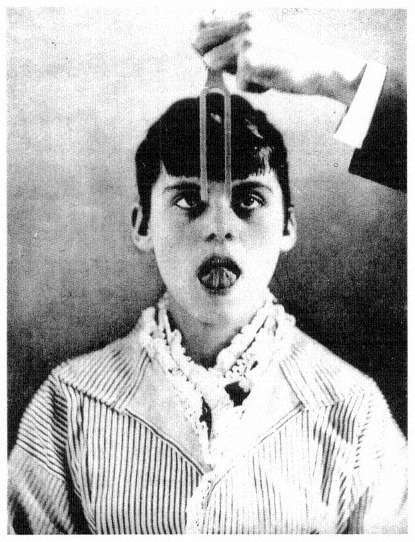 Much has been written about this subject, and many demonstrations have been performed–some of which actually do resort to using sensory means (e.g., pre-arranged signals between the thought sender and the thought receiver). The key question is whether or not we believe that such a phenomenon actually exists. Opinions on this point are sharply divided. Wikipedia, admittedly not the most reliable of sources, claims that, “There is no convincing evidence that telepathy exists, and the topic is generally considered by the scientific community to be pseudoscience.” Of course, the scientific community also once believed that Earth is flat and that one could fall off the edge into oblivion if one ventured too close to the horizon. My own humble view is that telepathy definitely exists, and I take this view because I have personally experienced it on many occasions. I often “hear” or anticipate my wife’s thoughts before she verbally expresses them, but one might as well put that down to the fact that we are very familiar with each other and are likely to know what the other is thinking at times. But what about complete strangers? On one occasion, I stepped into an elevator at a hospital and before the door closed, a woman (a stranger to me) stepped on as well. As she did so, I heard the name “Patel” clearly in my mind. Not a second later, the lady asked me, “Can you tell me where Dr. Patel’s office is?” I did not know the doctor in question, nor anyone else of that name. And let me add here that I have had other similar experiences with people who were not known to me. Of course, my personal reports are anecdotal and not peer-reviewed studies. I certainly claim no extraordinary abilities for telepathy, since I am convinced that most of us experience it in some form or other. Nevertheless, I have no doubt that these things occurred and no other explanation for them other than that some form of mind-to-mind communication was responsible. I am certain that many of the readers of this article will have experienced similar events in their lives. So, how do we relate what I believe to be a real phenomenon to the practice of hypnosis? In his book, Mind to Mind (1948 Hampton Roads Publishing), author Rene Warcollier discusses “the value of hypnosis… for concentration of the attention in a relaxed and receptive state” in order to facilitate mind-to-mind communication. Indeed, this notion makes sense, since hypnosis endeavors to clear the mind of conscious thoughts in order to allow the suggestions of the hypnotist to be heard without interruptions from the conscious mind. It is not a giant leap to assume that clearing conscious thoughts from the mental stage might well open the person to thoughts from others. The mind certainly remains as a vastly unknown and unexplored frontier. Hypnosis, I am certain, will turn out to be a most valuable tool for this exciting exploration now and in the future. How, then, can we demonstrate that hypnosis is a legitimate phenomenon arising from a subject’s brain? Certainly, we in the hypnotherapy community can point to mountains of anecdotal evidence that hypnosis has brought about significant positive changes in people’s lives, but skeptics may argue that such changes could have come about by chance, or by the simple acceptance of a suggestion, rather than a therapeutic intervention into the subconscious. It turns out, however, that at least one respected scientific journal has proclaimed that hypnosis is real. A Scientific American article written 10 years ago tells about the use of what the authors call post-hypnotic amnesia (PHA) induced via hypnosis in order to do research on memory disorders such as functional amnesia. While the results in themselves confirm the effectiveness of inducing temporary forgetfulness via hypnosis, the article also boldly affirms that these effects are real and that they are observable by certain changes in the brain. Why is this so important? 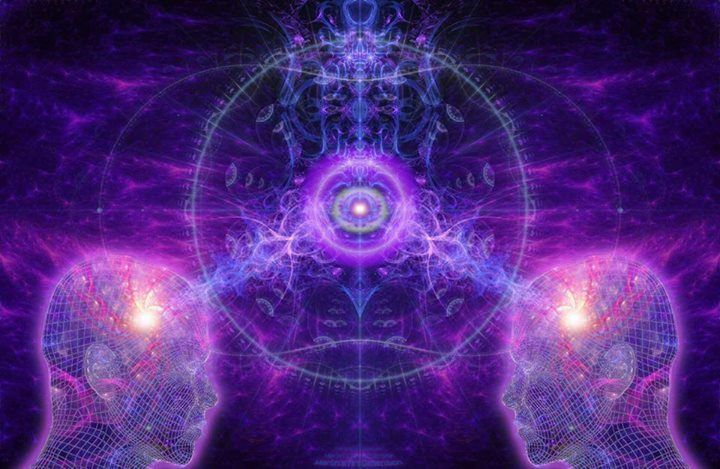 Because it takes hypnosis out of the “New Age Hokum” basket in which some have chosen to place it, and affirms that this is a real phenomenon backed by both psychological and physical evidence. Thus, skeptics–even those as accomplished as Kreskin–are no longer able to claim that hypnosis is a figment of someone’s imagination or an incorrect name for the power of suggestion. 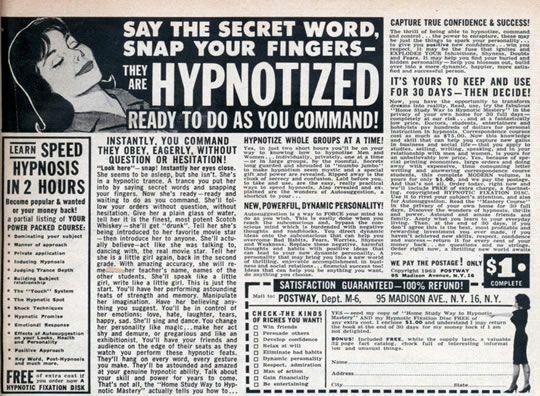 To be fair, the publication is not necessarily endorsing all forms of hypnosis and hypnotherapy, including stage hypnosis. 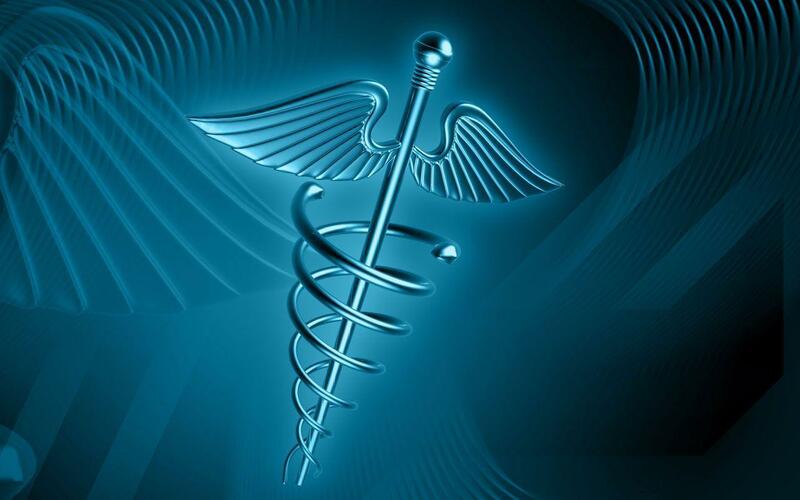 For those of us who practice hypnosis as a form of therapy, that’s just fine, because the toughest challenge we often face is convincing potential patients that hypnosis is not just some hoodoo they have seen in the movies or on television. The affirmation by SA that hypnosis is the real thing is a welcome sign that this wonderful therapeutic modality is gaining traction as a respected practice in the world of healing and research. In perusing the web, I ran across a neat little article from Psychology Today, dealing with “The Trouble with Hypnosis.” Since I wasn’t aware that we had any trouble with hypnosis, I delved into said article and came up with an interesting point of view. You can look at the piece via the link above, but let me summarize, if I may, just what the author believes is the “trouble” with the treatment mode known as hypnotherapy or hypnosis. The trouble, from PT’s point of view, is that hypnosis as a process does not seem to lend itself to measurement Yes, believe it or not, despite many attempts to quantify and capture this experience in a bottle, researchers have not been able to show that anything special is going on physiologically when a person enters hypnosis (beyond the obvious drop in blood pressure, slowing of heartbeat, deeper breathing associated with being relaxed in any condition). That is, there don’t seem to be any brainwave patterns that can be readily identified as indicating the “hypnotized” state. The real problem seems to be that we don’t quite have that telltale brain signature that screams “this person is under hypnosis.” And if we can’t reliably tell whether or not a person is in a “trance,” then we can’t reliably measure such a trance. Measurement, you see, is the scientist’s bread and butter. If we can’t measure something, then how on earth can we find out how it works, or to what degree it works in any given situation? I find this strangely reassuring, in that it confirms that we are not cranked out of the celestial factory with minds that work exactly the same. That would make us little more than advanced robots, and it would be rather boring. The fact that hypnosis is not a measureable process does not concern us, because in countless studies and in countless practitioners’ offices, the results have spoken for themselves. As long as we accept that we have not yet figured out the physiology behind hypnosis–if physiology is even relevant–this should not prevent us from taking advantage of the obvious salutary results. I am reminded of the fact that even in medicine, which assuredly holds itself in higher scientific self-esteem than mere psychology, some compounds are known to work for some conditions, yet the scientists do not precisely know “how” they work. Will we ever know precisely “how” hypnotherapy works? That certainly is a question for speculation!